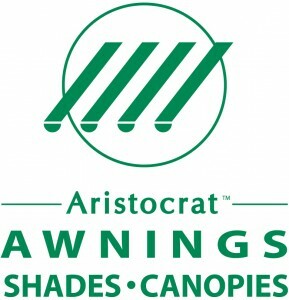 Aristocrat Awnings Add Comfort and Convenience to Your Entire Home! Summer is here, and North Carolina is heating up. The hot weather has many of us looking to find that balance between enjoying the outdoors without getting too hot. Awnings may be your answer! The leading manufacturer in awnings, Aristocrat, provides convenient, durable solutions for every home. Easy cool shade outdoors – and indoors, too! At Gerald Jones Company, we can not only install and repair your awning, but we can also help you select the right solutions for your home based on your lifestyle. Our trained professionals will ensure a proper fit, quick installation, and selection of a quality product that will work best for your home. Our customers love that their awnings installed by our home improvement experts allow them to get even more comfort and convenience out of their homes. Don’t wait until that Raleigh-Durham summer heat has already arrived – call us today to discuss the awning options for your home! This entry was written by Gerald Jones Company, posted on July 15, 2016 at 2:45 pm, filed under Uncategorized and tagged Aristocrat, Aristocrat awnings, awnings, home improvement, outdoor comfort. Bookmark the permalink. Follow any comments here with the RSS feed for this post. Both comments and trackbacks are currently closed.